Changes in seasons can also mean changes in ring sizes. In addition, how our bodies react to daily exercise, and other largely uncontrollable variables can also render a ring unwearable. 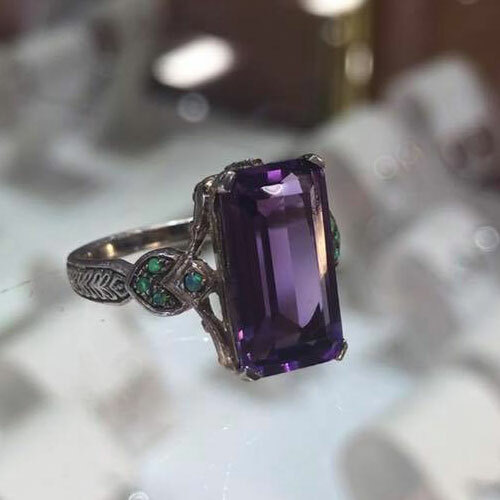 That’s where Neustaedter’s Fine Jewelers comes in, providing the highest quality ring sizing services in St. Louis, Mo. 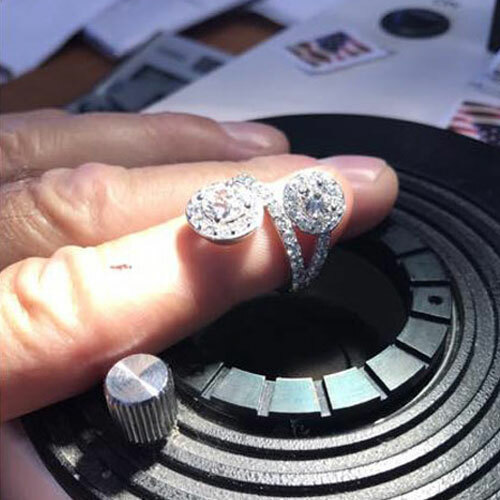 Not only do we offer this service to our customers, we also do sizing for other jewelry stores all over the St. Louis area. There are multiple considerations when resizing of a ring, most importantly is the design. Simple designs can go up or down 3 sizes easily, while other more intricate designs will limit the amount it can be re-sized, if it can at all. Ring Sizing is achieved by either adding or removing metal to obtain the desired size. We avoid metal contamination by matching the new metal to the old. If the design requires removing and then resetting stones, we are careful to prepare for that as well and communicate that to you. Once we add or remove the metal, we restore the circular shape, solder it together, then professionally clean and polish the ring. Depending on the metal of the ring, we use Induction or Laser Welders when soldering the shank together. Our Master Jewelers can size gold, sterling, silver, bronze, palladium, platinum, and brass rings. When the job is complete, there should be no indication or visible details that the ring has been resized.